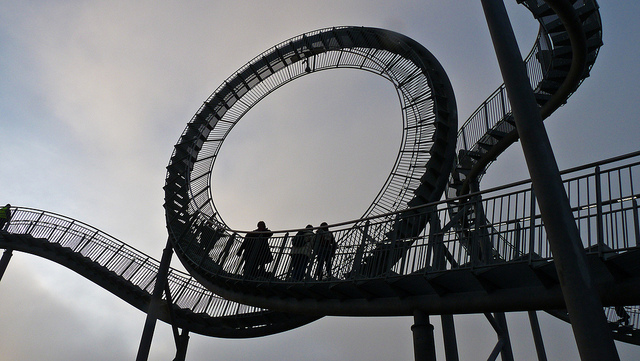 Despite all its twists and turns, there's no need to hold on tight when taking a spin on this German roller coaster. 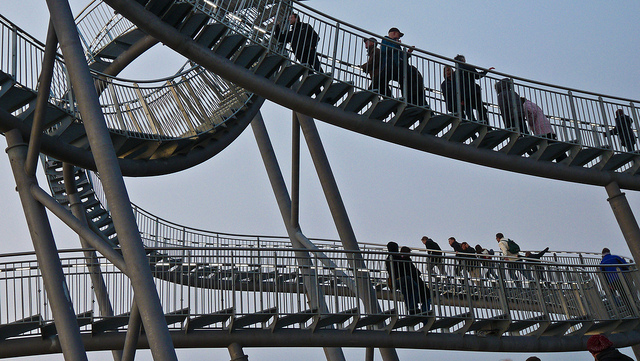 Dubbed 'Crouching Tiger and Turtle, Magic Mountain', the thrill-ride-inspired walkway is an exciting attraction recently unveiled for the city of <a href="http://en.wikipedia.org/wiki/Duisburg">Duisberg</a>. The <a href="http://www.kuriositas.com/2011/11/crouching-tiger-and-turtle-roller.html"> giant swirling sculpture</a> measures 11 meters high and provides panoramic views out to the surrounding landscape. Combining art, folly and fun, the sculpture is an interactive way for visitors to explore the German countryside. 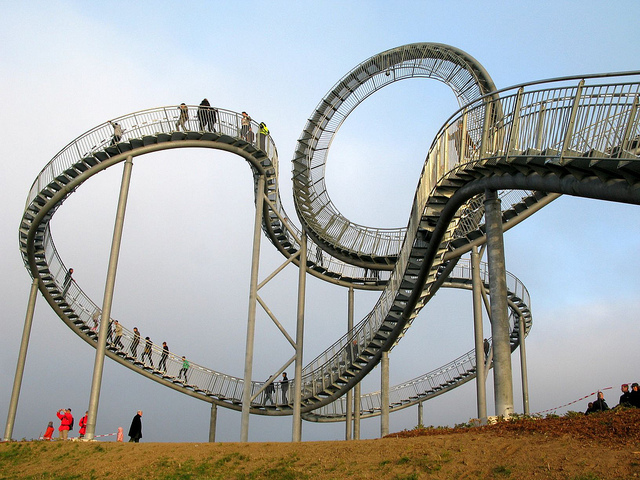 Sculptors Ulrich Genth and Heike Mutter designed this fantastic addition to the German capital of culture. The recreational park is located atop a former zinc production site. It's interesting to note that the looping construction is itself sculpted from steel and zinc -- a small detail that roots the structure with the site's history. It took eight weeks to assemble the piece. 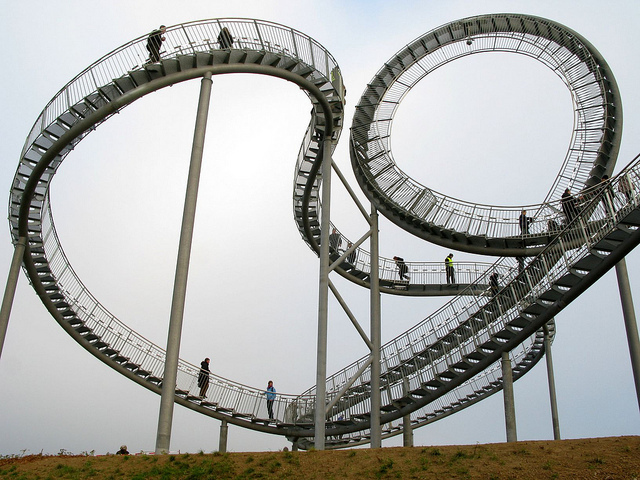 But with health and safety regulations in place, the costly design is not the acrobatic center it first appears! Public art provides an opportunity for people to come and simply enjoy their natural surroundings is always a winner in any context. 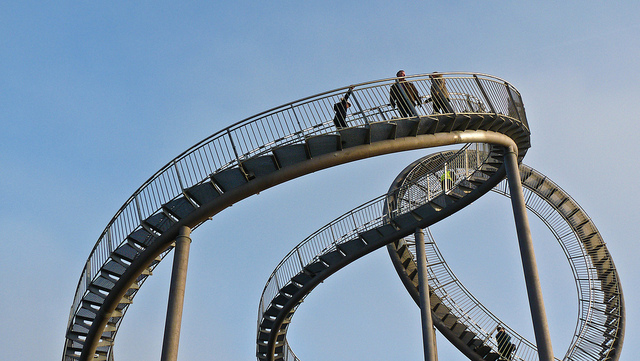 Despite all its twists and turns, there's no need to hold on tight when taking a spin on this German roller coaster. 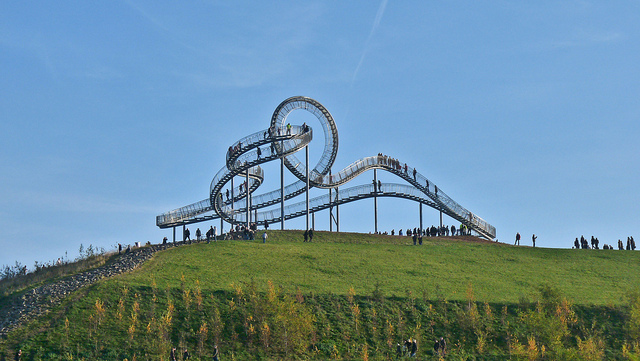 Dubbed 'Crouching Tiger and Turtle, Magic Mountain', the thrill-ride-inspired walkway is an exciting attraction recently unveiled for the city of Duisberg. 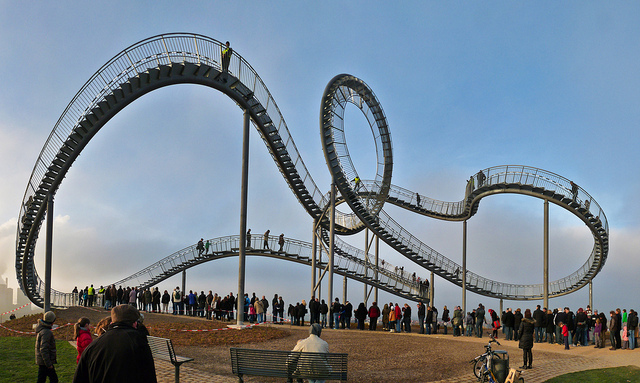 The giant swirling sculpture measures 11 meters high and provides panoramic views out to the surrounding landscape. Combining art, folly and fun, the sculpture is an interactive way for visitors to explore the German countryside.